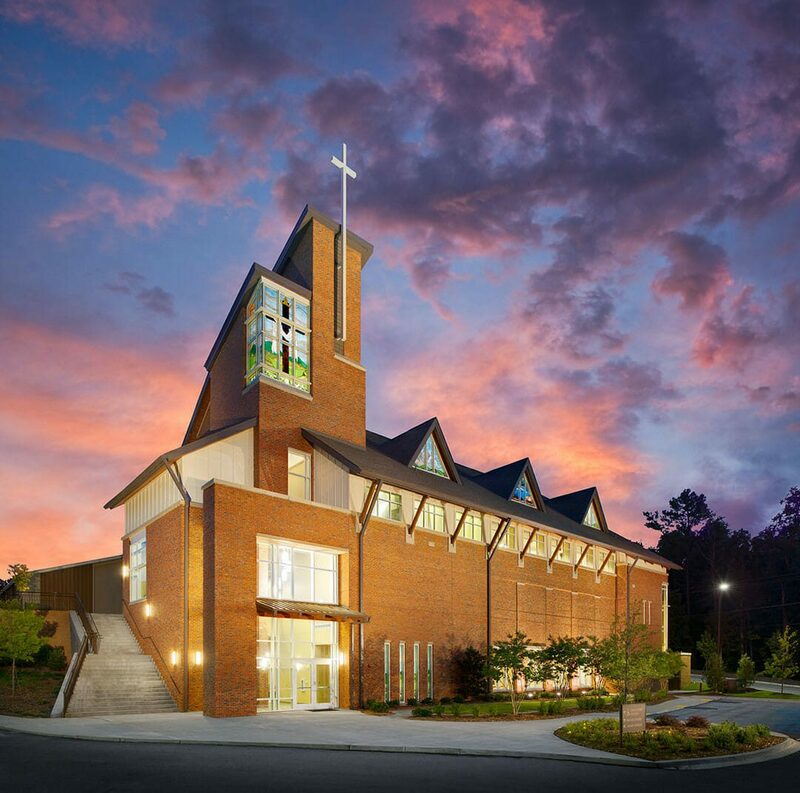 A new 800 seat sanctuary and education addition is located on a main thoroughfare in Chapin, South Carolina. The site is arranged in order to allow for ample parking, improved drop-off, and most importantly, an identifiable “front door” focused outward to the community. 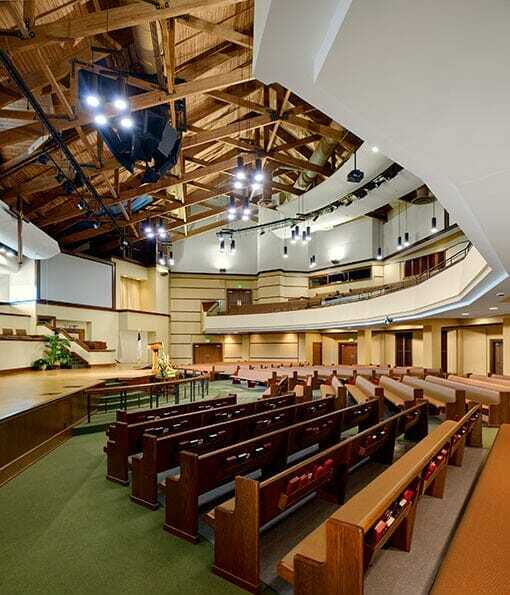 The 33,000 square feet of worship and educational facilities include a new entry, narthex, and welcome center and is arranged to foster community among the various activities and missions of the church. The master plan involves reorganizing components within the existing education building to improve circulation and orientation. 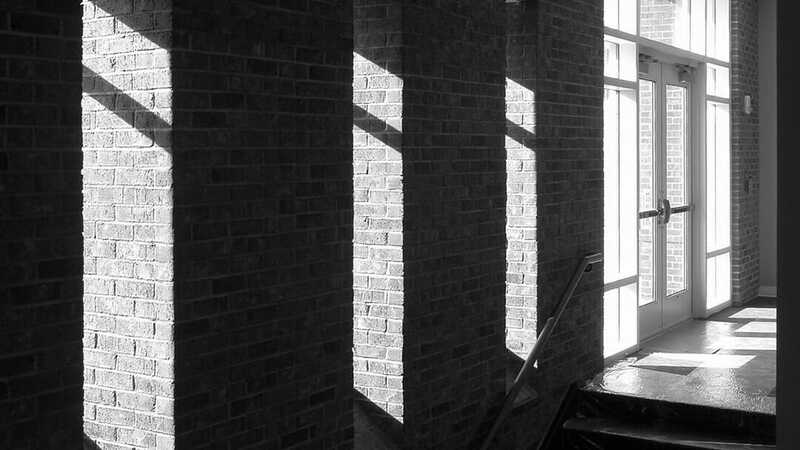 The Sanctuary is entered directly form the generous narthex along a curved rear wall welcoming parishioners form the many different areas of the campus. The sanctuary’s laminated wood roof structure, inspired by the Anglican and Wesleyan history of this church, implores a scissor truss roof structure which provides an elegant spirit to the space while offering appropriate warmth in relation to the proposed stained-glass windows. The space will also feature state-of-the-art audio/video technology.